From two-time Newbery Medalist Kate DiCamillo comes a story of discovering who you are -- and deciding who you want to be. 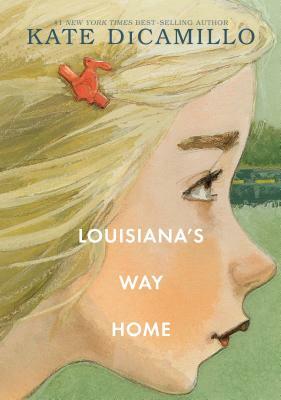 Called "one of DiCamillo's most singular and arresting creations" by The New York Times Book Review, the heartbreakingly irresistible Louisiana Elefante was introduced to readers in Raymie Nightingale -- and now, with humor and tenderness, Kate DiCamillo returns to tell her story. Kate DiCamillo is one of America's most beloved storytellers. She is a former National Ambassador for Young People's Literature and a two-time winner of the Newbery Medal, for The Tale of Despereaux and Flora & Ulysses. Born in Philadelphia, she grew up in Florida and now lives in Minneapolis, where she faithfully writes two pages a day, five days a week.